You could be saving so much more. 1. 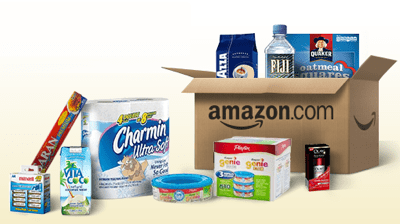 You can find out Amazon's most heavily discounted item each day by visiting Camelcamelcamel. On the day of this writing, an Armand Nicolet watch was reduced by $4,142.95! You can also search by category (like baby products, digital cameras, electronics, etc.) to find the most discounted items. 2. Cool discounts can also be found on Amazon's Gold Box Deals. These include deals on items from around the site, plus lightning sales, which are heavily discounted deals that expire after just an hour (sometimes two). Heed this warning, though: It's easy to get addicted to checking the Gold Box Deals page. 3. Considering Amazon Prime? It's definitely worth it if you order at least 10 items that cost less than $25 per year. Actually, Amazon Prime is probably worth it for most regular Amazon users. For $99 per year, Prime members get free two-day shipping on millions of items (which comes in super handy during the holidays), the ability to instantly stream thousands of movies and TV shows, a new music streaming service, and access to free Kindle books. 4. Prime members now also get free access to over a million songs and hundreds of playlists with Prime Music. 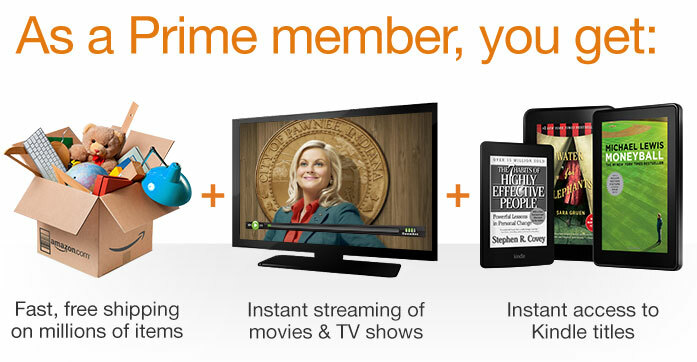 Amazon announced this new Prime membership feature on June 12. 5. Students with an .edu address can get a six-month Prime membership for free. In addition to all the usual Prime benefits, Amazon Students receive student-specific deals and can borrow one Kindle book each month for free. Also cool is the fact that at the end of the six months students are given the opportunity to extend their membership at 50% off the normal cost. 6. Moms can get a free three-month membership to Prime plus exclusive Amazon Mom benefits. What benefits, you ask? These include 20% diapers subscriptions, 15% off other childcare items, and access to exclusive discounts and deals. It should also be mentioned that, despite the name, dads, grandparents, and caretakers are eligible. 7. You are allowed to share your Prime membership with up to four additional family members living in the same household. As Oprah would say, "You get two-day shipping! And you get two-day shipping! And you get two-day shipping!" 8. If you look for items in stock near your shipping location, you may be offered one-day shipping. 9. If you regularly buy an item, you can get discounts on it through the Subscribe & Save program. Schedule regular deliveries of, say, toilet paper, and Amazon will give you a 5% discount and ship it for free. And, if you schedule five or more subscriptions per month, you'll get 15% off on all of them. This will take you to a list of free apps that curate regularly updated lists of the very best free Kindle books. You can also visit Pixel of Ink, a website that's focused on compiling quality books that can be downloaded for free (or at least heavily discounted). 11. BTdubs, you don't actually need a Kindle to read a Kindle book. Amazon has Kindle reading apps for Windows, Mac, iPad, iPhone, Android, Windows Phone 7, and BlackBerry. 12. Find deep discounts on refurbished and open-box items (including cell phones, computers, and Kindles) with Amazon Warehouse. According to Amazon these discounted items "are in good condition but do not meet Amazon's rigorous standards as 'new.'" They're covered by Amazon's standard 30-day return policy, though, so if your item doesn't work you can send it back. 13. If the price drops on an item you bought within seven days of purchase you can get a refund. Shhh! This is an unpublished policy. 14. Lastly, and most importantly, you can buy Girl Scouts cookies on Amazon. So you can get your Tagalong fix all year round!